Students from Launceston College are almost underway as part of their Erasmus trip to Croatia. 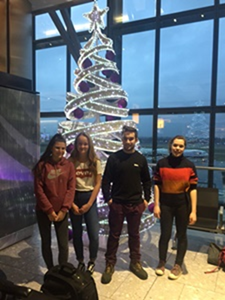 Pictured here, Elliot, Kiera, Chloe and Rowan they are awaiting their Heathrow flight to Zagreb. Mr Machin is leading the trip accompanied by Mrs Penfold and Mr Fraser.